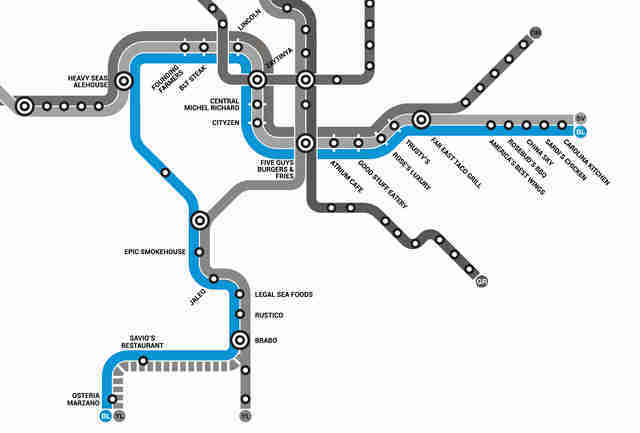 It was breaking news this summer when the Silver Line opened, making it possible for folks further out in Virginia to plug into nightlife and not worry about driving. Or parking. Or traffic. But what we have here is EVEN MORE BREAKING. 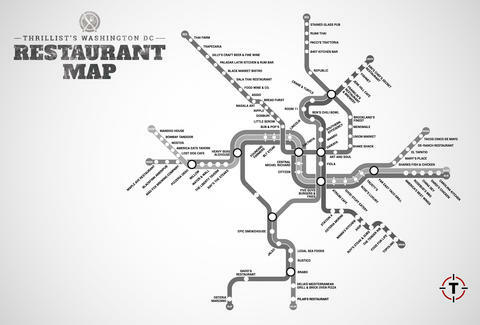 We’ve made the first ever WMATA-fied restaurant map. 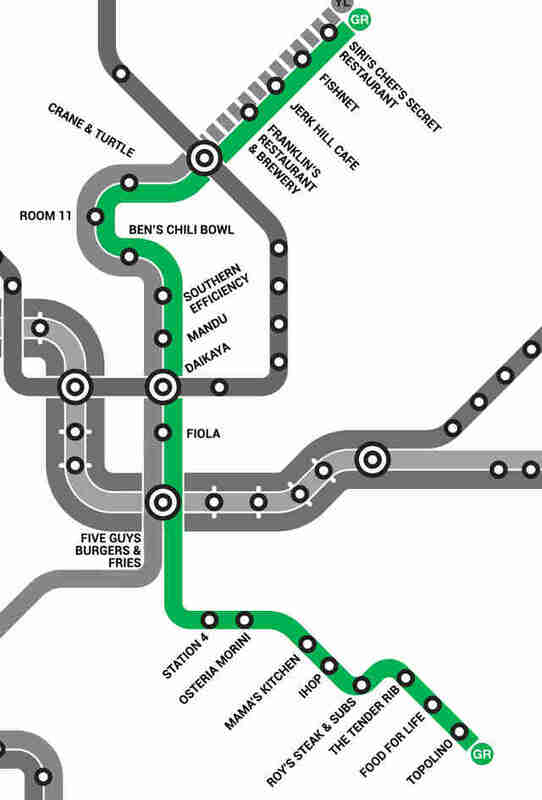 Follow this trusty guide, and you’ll get from every metro stop to a restaurant within a couple of miles (but usually much closer). 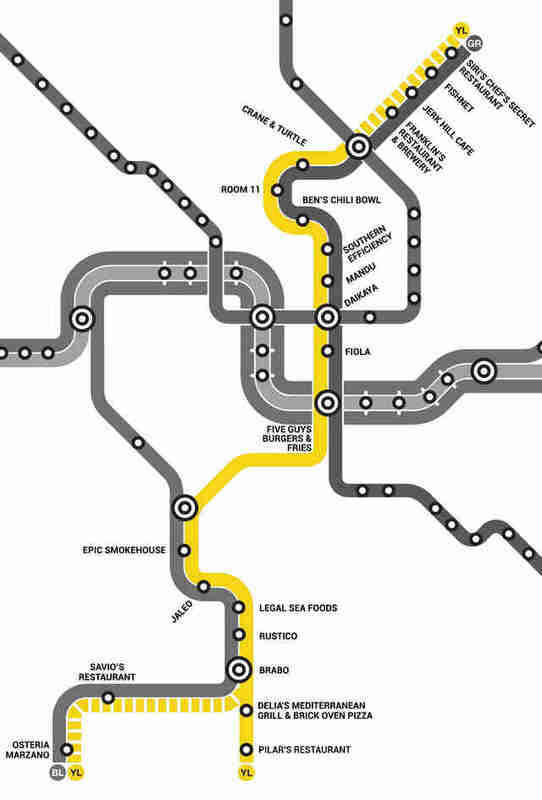 You can check out a blown-up version of the map here, plus the info on every single line below. There were a couple we couldn’t nab, like Arlington Cemetery, where even a picnic wouldn’t fly. More into hitting the drink? 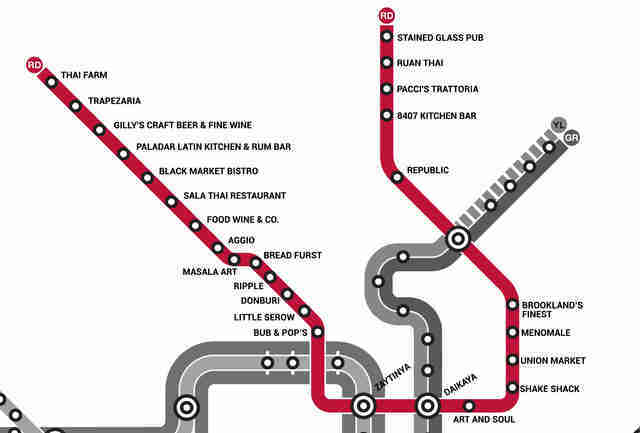 Check out our metro bar map.